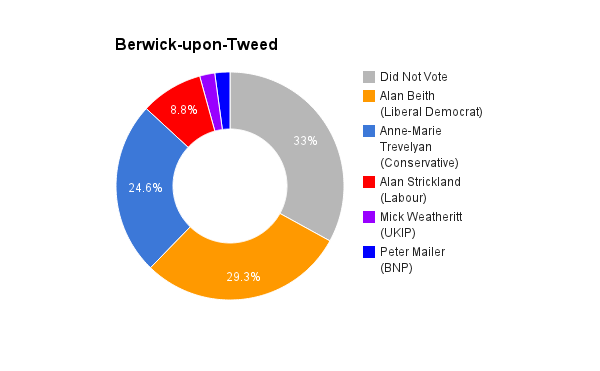 Berwick-upon-Tweed is located in Northumberland, in the north of England. It was created in 1512 and has been held by the Liberal (Democrats) since 1973. The current member of parliament is the Liberal Democrat Alan Beith who has served since 1973.